Struggling to offer a variety of lunches to your child without resorting to the classic peanut butter and jelly sandwich? It can be tough to come up with healthy, kid-friendly lunches if peanuts and nuts are off the menu in your school. It’s even tougher if you have to avoid gluten and other allergens. However, there are plenty of nut-free lunch options out there that you can choose from. You just have to discover them! Luckily, here at Picniic, we’re here to help you. Our goal is to help make your family life run as smoothly as possible so that you can enjoy the quality time you have as a family. 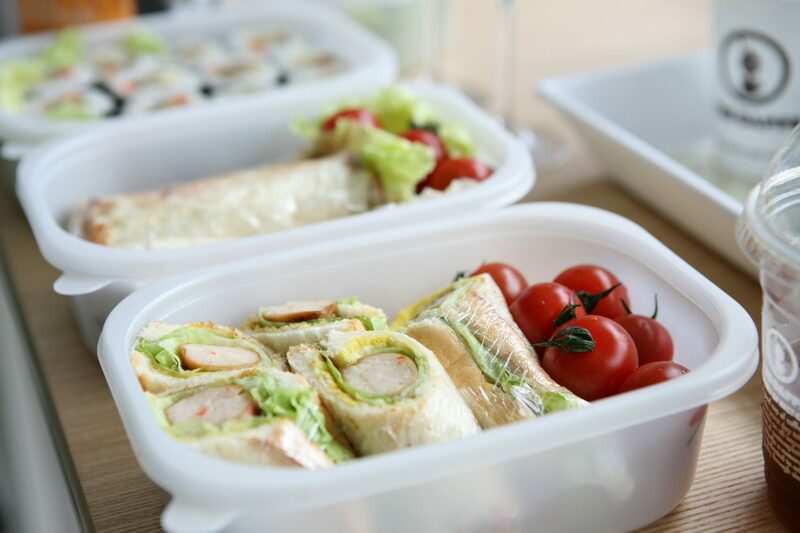 We’ve researched and discovered that with a bit of creativity, you can expand your options and ensure your child brings home an empty lunchbox every day (even with gluten and nut free recipes!). Nearly any vegetable can be boiled and pureed into soup! It’s a genius way to get your little ones to enjoy their vegetables because when blended, the veggies are far from recognizable. Make it a creamy soup by adding some milk and flour to thicken. Here’s a great one for zucchini soup. However, you can swap zucchini for broccoli, or add potatoes and carrots. You can also skip the milk and simply thicken with flour or cornstarch. Send the soup in a thermos and add bread or baked corn crackers or similar to accompany the soup. Eggs are great. They’re full of protein and most kids love them. Add some ham or veggies like spinach and mushrooms along with a dose of cheese for a fantastic lunch. Send along bread or corn tortillas to eat with the omelette as well as a piece of fruit. Your child will love the departure from their normal lunch. Pasta salads are an excellent choice for a delicious lunch to break up the routine. If your child can’t have gluten, opt for Asian inspired rice noodle dishes, many of which are also great cold. Country Living offers a great selection of pasta salad recipes, including Asian inspired dishes. Start there for inspiration. You can always substitute your child’s favorites for any ingredients that may be a bit too strong for your child. For example, if the recipe calls for Bleu cheese, you can opt for a kid-friendly cheddar instead. Send along a piece of fruit to go with the salad and you’re set! Encourage your child to dip and spread with a lunch of vegetable sticks, cheese, crackers and dip. Include a variety of vegetables your child will enjoy such as carrots, celery, cherry tomatoes, broccoli, red pepper, etc. For a dip, include something filling such as a yogurt based ranch style dip, hummus or guacamole. If your child is allergic to gluten, you can opt for baked tortilla chips or something similar instead of the crackers. Add in some fruit and a nut-free granola bar to round out the meal. Fill these hand pies with your child’s favorite lunch meat and cheese. For a gluten-free option, use pie crust made with corn flour instead of wheat flour. These are very versatile. Instead of meat and cheese, you can also use these to fill with a mix of chicken and already cooked vegetables, opt for a pizza flavor by including marinara sauce, pepperoni and cheese or another combination of ingredients you know your child will enjoy. Make them for the whole week and simply unfreeze them as you go! Your child will welcome these pies as they’re attractive and delicious. Accompany them with veggie sticks and a piece of fruit. What kid doesn’t love pancakes? If you have a pancake lover of a child, why not send pancake sandwiches for lunch? All you need is two pancakes and some creativity. Slather either sunflower butter or cream cheese on one of the pancakes. Then top it with sliced fruit such as strawberries, banana or even apple and top it with a bit of honey. Then, slap the other pancake on top and you have yourself a pancake sandwich! Need gluten-free pancakes? Try this recipe. To save time, you can make a lot of pancakes ahead of time and freeze them. Then, unfreeze them as you use them in lunches or for breakfast. Avoiding allergens such as gluten and nuts can be a challenge, but with some creativity and tried and true recipes in your arsenal, you’ll soon be a pro at preparing lunch for your kids. The best part is you can keep all of your favorite recipes stored in the Picniic app so you won’t lose track of them. In this section, you can even mark which recipes your kids liked and get rid of the ones they didn’t! Then, add in the ingredients to your Picniic shopping list so that you’re never stuck without sunflower butter or another key ingredient that will pull lunch together. Many of these lunches are ones you can prepare in bulk and use for the whole family! So, try out a few of the ideas and find your family’s favorites and go with them. Add them to your meal planner on Picniic on a rotation and you’ll be set for weeks. Do you have any favorite allergen and nut free lunch recipes? Tell us about them in the comments below! Struggling with a picky eater? We understand. While it can be challenging to deal with a picky eater, there is hope. Read this post to learn strategies that can help you cure picky eating once and for all.